The Company - Ideal Caravans - Static Caravans, Touring Caravans, Holiday Homes and Lodges in Northumberland, Durham, the Lake District, Cumbria and North Yorkshire. Based in County Durham and Northumberland, UK we can offer and advise you regarding award-winning coast and country Holiday Parks in the Scottish Borders, Northumberland, Durham, Weardale, Cumbria (including the Lake District) and North Yorkshire. 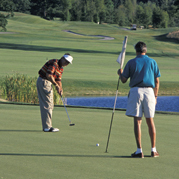 No other recognised dealer in the UK represents as many holiday parks from a single point. A customer will benefit from dealing with Ideal Caravans as opposed to any individual Holiday Park or Manufacturer because Ideal Caravans manage a seamless bespoke 'package' approach for a customer's convenience and peace of mind. 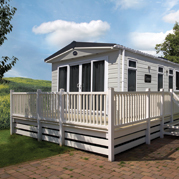 Ideal Caravans have strong, established links with the Uk's leading Manufacturers' and Holiday Parks. This service works out less expensive and certainly more convenient than having to piece together a 'package' oneself. A strong addition to our portfolio is the availability of good value, pre-owned touring caravans at our Morpeth display area in Northumberland. 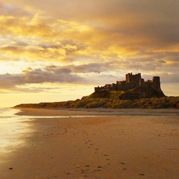 Located on the A197, Northumberland coastal route, just off the A1. Ideal Caravans is committed to providing a unique, quality service. Great value for money and reliability go without saying, with a caring and professional approach throughout the whole Ideal Caravans experience.